Okay guys. 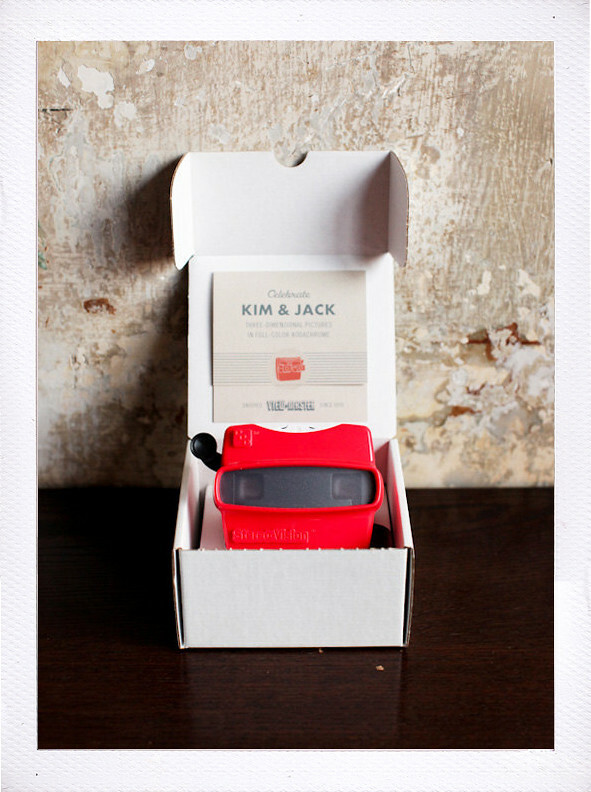 How fricken cool is this viewmaster wedding invite by Mélangerie Inc? "This invite features a nostalgic viewmaster with custom picture reel and insert card for additional information". They are obviously the masters of charming, whimsical and unique invites. I am head-over-heels for this woodland save-the-date they created! And their hand-painted wedding signage. Ugh. Beautiful. such a gooood idea! great find. Wow! I'd love to be attending that wedding. The invitation says it all, it must have been beautiful. These are so much fun! I love the idea of sending something so sweet and special out.